Finding the best air conditioner repair contractor in Tomball can be confusing. You want to make sure you bring the best into your home. Tomball, TX has its share of air conditioning repair services and technicians. It can be hard to know which one is best suited to address your air conditioner issue. This becomes even more difficult when you have a sudden breakdown in the middle of a hot Texas summer. When the temperature in your residence is rising by the second and each delayed minute you spend not having the basic comforts (thanks to your air conditioner) feels like a living hell. But how do you know which Tomball AC repair service to pick? If a repair is necessary, you don’t have time to do a lot of research. Instead, look for some important points that can inform you intelligently. You want to get the information quickly about the air conditioner contractor in question. This will go a long way to aid you in finding the right one to get your issue repaired ASAP. If you had your AC installed or replaced while you were residing in your house, you probably know which service provider did it. Such services are typically your best option for repairs. They have info of your installation and are knowledgeable with the needs and specifics of your home. That usually makes them most suited to diagnose and determine the cause of any AC disruption and repair it. However, if you are new to your home and it’s HVAC, you need to know where to look and who to choose. Simply going on Google does not always give you the bigger picture of who the best air conditioner repair contractor is! 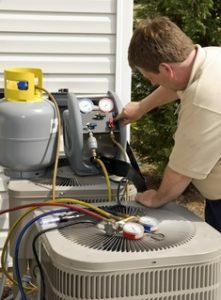 Most repair companies have affiliations with AC service company associations and positive reviews from satisfied customers. But for the proof of a given company’s dependability, look for an AC repair company that has certification from North American Technician Excellence (NATE). This is a third-party system devoted to impartially assessing the skills and capabilities of repair technicians from all over the nation. 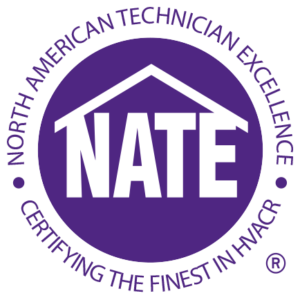 One must hold to the highest standards in order to get NATE certification and be knowledgeable in numerous different HVAC systems. That purple and yellow stamp are a sure sign that you have selected the right company. Most air conditioning repair services charge for coming out to your home and it doesn’t matter the issue. That should be stated to you before the contractor shows up, so you know the cost. 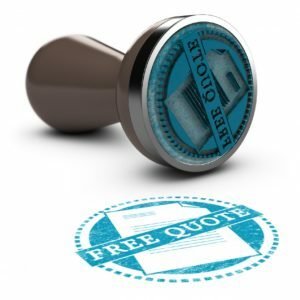 Find out if the air conditioner repair contractor gives free estimates. You may be thinking that your A/C needs to be replaced. Getting a technician out can save you time and money by catching issues sooner rather than later. Keep in mind that all free things are not necessarily good. Some A/C repair companies will give you a free estimate but then ‘look for’ problems that aren’t really problems. They may also try to up sale you on various things that you may not need. You should always get an estimate of the cost of repairs up front, so that you know exactly what the price will be. This alleviates any dodgy tricks like all of a sudden seeing a new issue and raising the price. Ethical companies with a commitment to service will avoid all of that just by letting you know all the prices before the project begins, so there’s no confusion.